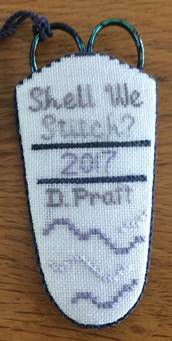 SOME Chapter is happy to provide the sixth teaser project for SHELL WE STITCH?, NER SEMINAR 2017. 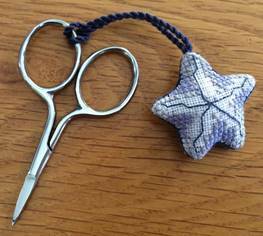 Denise Harrington Pratt of Amaryllis Artworks has designed this Starfish Scissors Keep as the sixth in a series of teaser projects. 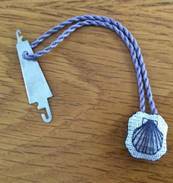 These projects are in anticipation of NER Seminar 2017 which will be hosted by SOME Chapter at the beautiful Cliff House Resort in Ogunquit, Maine. 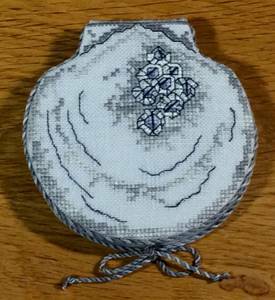 A kit for this project is available for $18 plus $6.50 priority mail postage. The kit includes all supplies needed to complete the project. 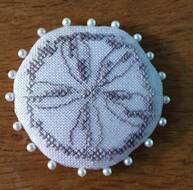 Included are linen, silk threads, interfacing, batting, template plastic and detailed instructions for creating this project. Scissors are not included. 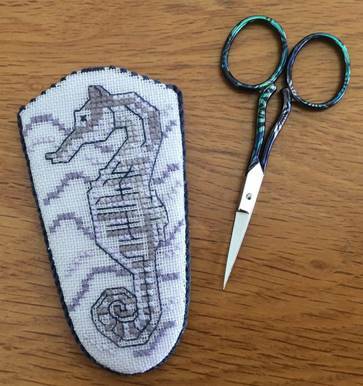 Stitchers will need to provide Stitchery Tape, glue, and sewing thread. Checks should be made out to SOME Chapter EGA and mailed to Barbara Hepburn, 828 Edes Falls Road, Harrison, Maine 04040. 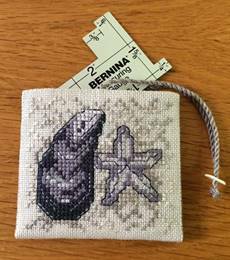 Multiple kits can be mailed together to save on postage. Please contact Barbara Hepburn, Brit45@roadrunner.com for ordering information. All Teasers are still available for purchase. Shipping for all six projects would be $7 Priority Mail.